“Impression Auto Components Private Limited,” is a well established and leading name in the field of manufacturing of Aluminium Pressure Die Castings, Aluminium Gravity Die Cast Parts , Automotive Machining Parts , Pressure Die Casting For Aluminium and much more. It is presently successfully catering to the demands of Steel sector, Automobile Motor Parts and Electrical industry. Operating from its base at Pune, Maharashtra, India, the company has with it rich industry experience of over one and half decade that allows it to successfully understand as well as match up with the order requirements as placed by the customers. 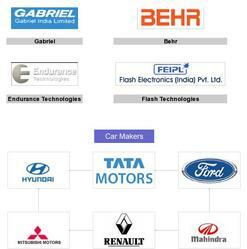 Some of the leading brand names it is presently serving include Ford, Hyundai, Mahindra, Renault, Tata Motors, Endurance Technologies. Today, the consistent performance delivered and client centric policies followed by “Impression Systems Industries” have helped it to gain trust and respect of the market. Further, the use of latest engineering technology and process equipment in the involved production operations also ensure the end solutions delivered are of best quality and perfectly match up with the specifications. Some of the key customers it is presently serving include Gabriel India Limited, Pune, Maharashtra; Behr India Limited, Pune, Maharashtra; Flash Electronics Private Limited, Pune, Maharashtra. The principal source of motivation and inspiration to us is our mentor "Mr. Rahul Sapre", He possesses rich industry experience and constantly guides us in consolidating our position in the competitive business market. At Impression quality and customer focus is of utmost importance. We strongly believe in providing total customer satisfaction through excellence in product development, quick response to customer, proactive approach to quality issues. Impressions continuous effort and focus on quality has enable reduction in PPM level. We are one of the renowned manufacturer and supplier of a wide range of Aluminium Die casted parts. We keep our products matched as per the international market standard. We follow industry norms and ethics to keep our business safe and flawless and also to match up with the surrounding market trend. We have spread our market across the Maharastra with honesty in our quality products and execution of timely delivery. We give more importance during the packaging of our products as we believe our duty ends by delivering damage free and hassle free products to our clients’ destination. We have also Added a Latest CNC CMM of 700 x 1000 x 700 size. We are setting up state of the art manufacturing facility for Aluminium die cast parts to cater to the international as well as indian markets. Our team of professional has different groups as per the expert professionals. Our workers of team had been appointed from different places in India and various sectors. We divide our team in different unit to achieving the success. 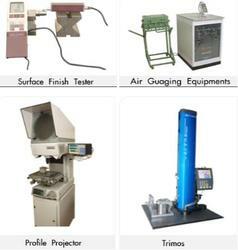 These expertises are dedicated to their hard work to manufacturing a range of quality products. We manufacture complex aluminium die cast parts and also carry out machining and other misc. operations to cater to the various needs of our customers. We are a one stop solution for all our customers for their product requirements as we design ,manufacture and prove the tools for our customers. After the products are developed we also supply them the products on a monthly basis to cater to their needs. We are a one stop solution for our customers for dies manufacturing and products manufacturing and this is supportes by the state of the art manufacturing facility equipped with die designing softwares , simulation software, 5 Die casting machines, 22 CNC machines, 15 VMC and state of the art inspection equipments.